Dimensional Weighing - Take advantage of the latest regulations by shipping carriers! Take advantage of the latest regulations by large shipping carriers like FedEx®, UPS® and DHL®. In order to more accurately reflect billable weight, these large carriers are now determining shipment pricing based on either dimensioning or actual weight-whichever is greater. For the first time in years, your customers will be looking to you for a solution that very few have access to. Rice Lake now offers a full line of dimensioning products to fit your need. Rice Lake’s iDimension™ Series captures an image of packages, flats, poly bags, tubes and irregular shaped items in record time to calculate the dimensions of your packages for shipment. Advance Scale enhances value for customers through expanded products and services that go beyond industrial scales, namely material handling products and services with the addition of S.W. Betz to the ADVANCE family. 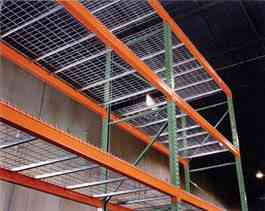 As one of the oldest material handling companies in the Mid-Atlantic region, The S.W. Betz team has culture of representing quality products at competitive prices with superior service.